In elementary school we had a unit on recycling that made a big impact on me. Maybe it was the images of poor little animals tangled up in trash or the idea that my actions could make a difference, but after that unit I became the girl who picks up trash on the sidewalk and cringes when I see people throw away items that can be recycled. While I’m passionate about recycling, I also have a soft spot for upcycling items. 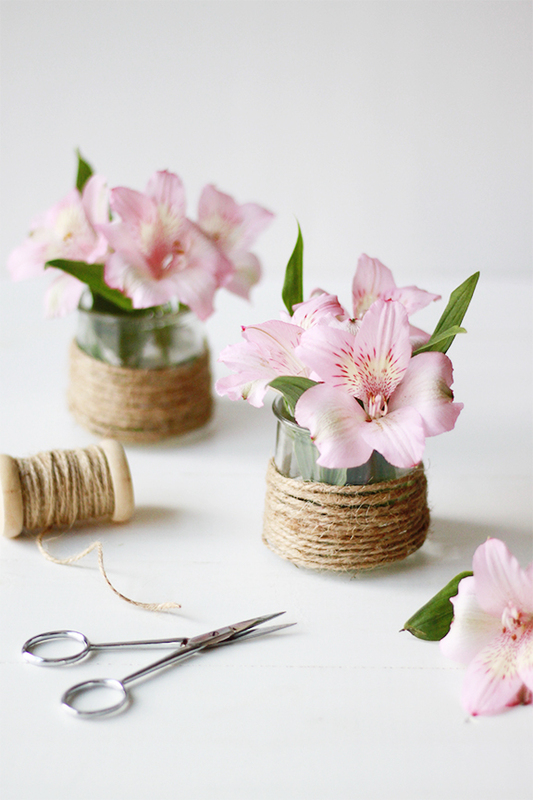 Take these flower vases – they started off as Oui yogurt jars! Being made out of glass, a million thoughts rushed through my head on how I could reuse them. 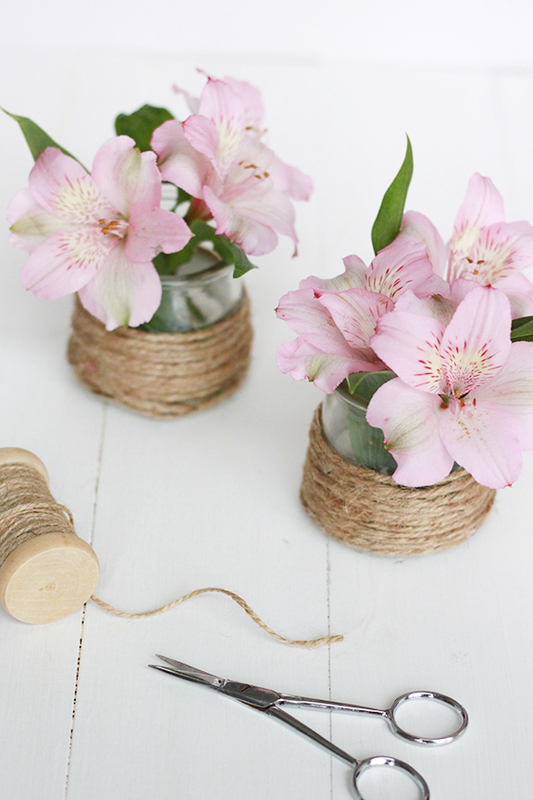 I settled on turning them into rustic flower vases. 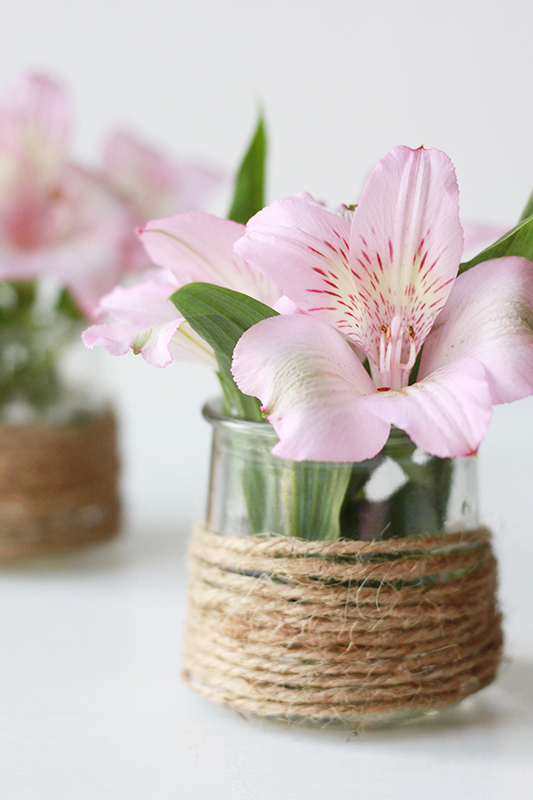 With a bit of hot glue and twine, these yogurt jars were repurposed into the perfect centerpiece for our kitchen island.